One of the draws of Italy is certainly the food, beginning from its origins in the rolling countryside where grapes and olives ripen, sheep and cattle graze, and farmers tend small kitchen plots with tomatoes and basil at every turn. From here, the open air markets and small, family-run butchers, bakeries, and corner stores, which have longtime personal relationships with their neighborhood clients, are mainstays of daily life. Finally, the kitchen, where multiple generations often gather to prepare traditional recipes, and the table, where the alchemy of Italy's simple, authentic ingredients produce an unforgettable meal, are at the heart of family life. 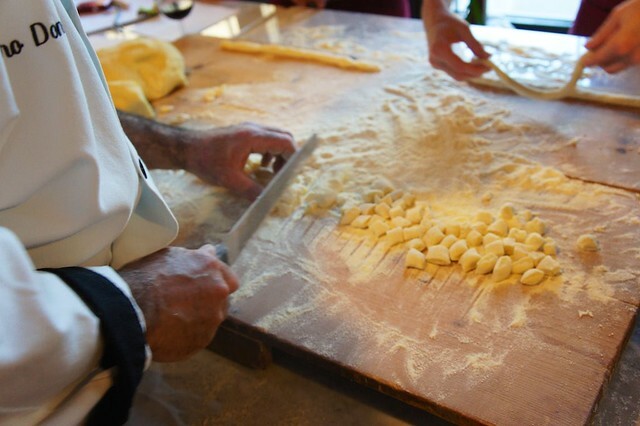 There is no better lens through which to view and understand Italy's landscape, history, and culture than its cuisine. 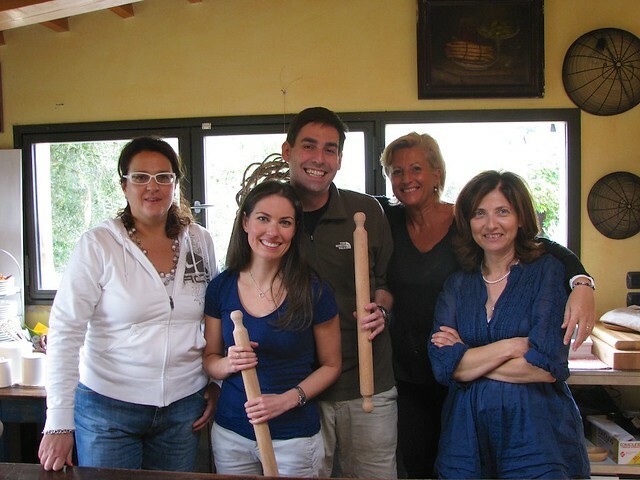 Because of this, we encourage travelers to Italy to participate in a cooking class while visiting, and often find that it is one of the most memorable experiences of their entire trip. 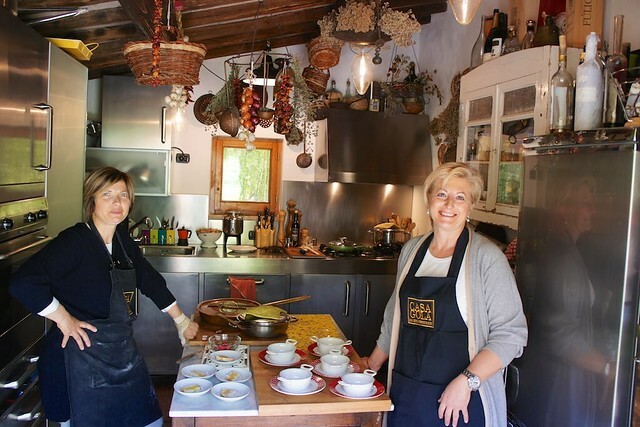 If you are curious as to how to recreate some of the amazing dishes you've sampled in Italy, there is no better way than hands-on experience. You don't have to be an accomplished chef (or even a talented cook) to both enjoy and learn from your cooking lesson. Cooking in Italy certainly has a pinch of technique, but it is primarily founded on the art of highlighting seasonal ingredients, concentrating on local products, and employing simple yet satisfying - and almost always traditional - recipes. If you can follow directions (and enjoy learning about local food culture and family kitchen lore), then you'll be able to get as much out of your lesson as a culinary school graduate. 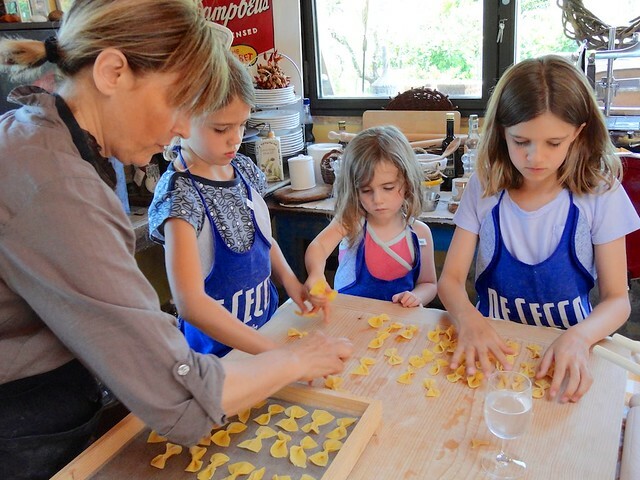 Most Italians are introduced to the kitchen as children, and so welcome families with budding chefs to their lessons. 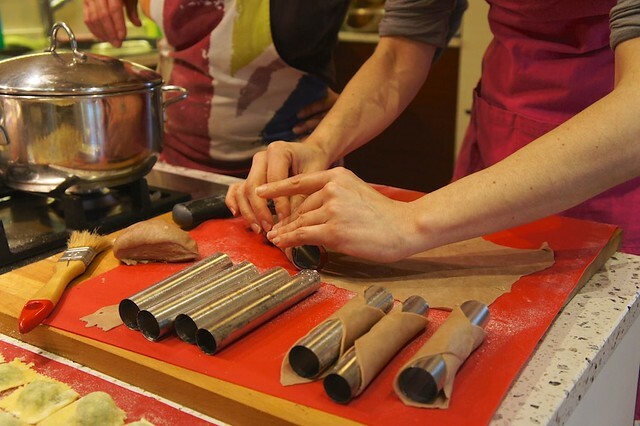 Rolling out pasta, snipping off gnocchi, and building up layers of a tiramisù are skills that even the youngest in a family can master, often better than their parents and grandparents, so a family-friendly cooking class is a great idea for group vacations with the kids. Of course, private lessons (which we strongly recommend!) are their most successful when tailored to skill levels and interests, so it's always a good idea to mention if there are any particularly advanced or beginner cooks or mini-chefs when arranging your class. It goes without saying that any food allergies or special diets should be mentioned, as well. Along with mentioning your - or your group's - skill level, you may also want to share anything you are particularly interested in learning how to prepare. Have you always wanted to serve up fresh tagliatelle, or wondered about the secret to perfectly fried calamari? An advantage to private lessons is that you can settle on a menu that particularly interests you, without having to stick to standard dishes or the whims of other students. That said, if your cooking teacher suggests a specific dish or ingredient, trust her (or him...but almost always her!). 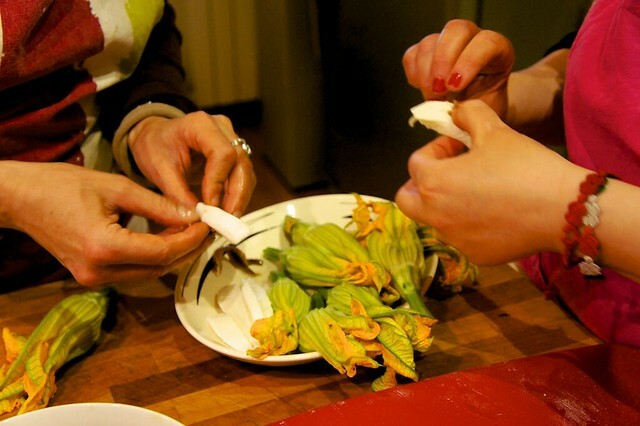 Italians know what is in season and what is excellent in that local area, so you may really want to fry artichokes in July or sample truffles in Sorrento, but if your teacher gently guides you toward a different dish, there's probably good reason! Most cooking classes produce a complete menu, from antipasto to dessert, which becomes the meal afterwards (see below), so even if you can't work in that one dish or ingredient that you had your heart set on because it's out of season or not local, you'll end up so satisfied with what you did prepare that it will far outweigh your disappointment! We always recommend arranging lessons with local cooks or chefs in a private home, and steer away from restaurant professionals in dedicated cooking schools. Though the latter are certainly highly skilled, their gleaming, stainless steel work spaces have none of the warmth and welcoming informality of a family kitchen which puts everyone at ease. With home cooks, however, you still have the choice of a country-style lesson, or a city lesson. Though your choice may be influenced by your itinerary (if you are spending a week in Rome, city it is! ), if your plans can accommodate either, you have the luxury of considering what would suit your family best. 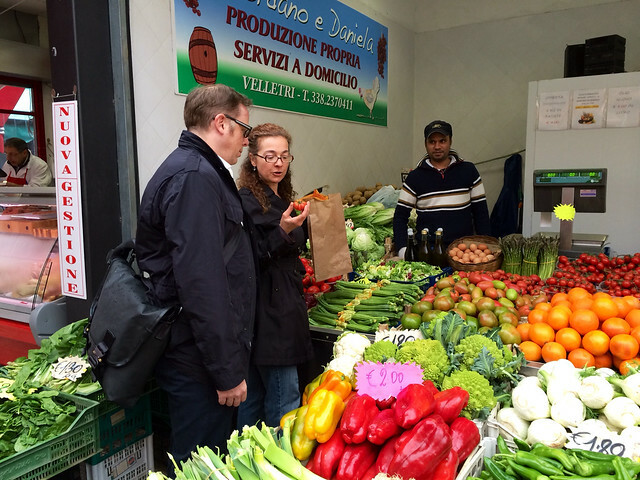 City cooking lessons often begin with a market visit, which is a wonderful way to introduce travelers to the all-important food culture in Italy. You wander the stalls and watch (and participate in) the lighthearted banter, careful selection, bargaining ritual, and, many times, impromptu menu modifications based on what looks freshest that morning or what may have just come in season. With your market finds, you move on to a nearby home where you prepare your ingredients and get to work. Country cooking lessons often use ingredients grown on the farm or estate where the lesson is held, which can be anywhere from rustic farmhouses with mater familias farmwives ruling the kitchen to elegant noble country estates, where the family cook has been serving the same beloved local dishes for generations. A lesson here sometimes includes a visit to the kitchen garden or the estate's oil mill or winery, and a meal al fresco to enjoy the fruits of your labors. 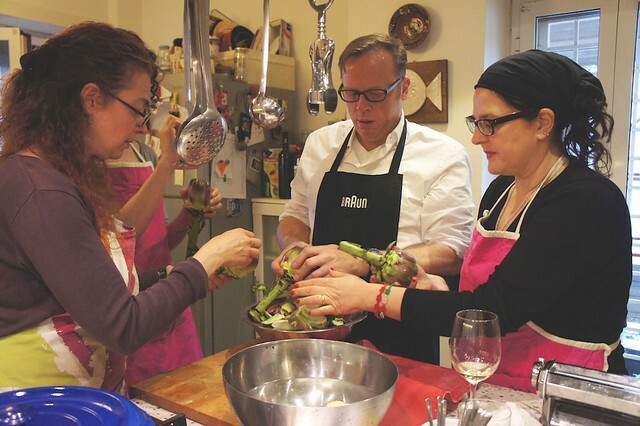 Again, cooking lessons in Italy are about preparing specific dishes, but they are also about experiencing the food culture that is such an important part of Italy's heritage. You will spend time in the kitchen during your lesson, of course, but you will also spend time at the market or in the garden, sampling the house wine and oil, chatting with your teacher and whichever other family member happens to wander through, and, most of all, sitting around the table afterwards as you feast on fruits of your labor. 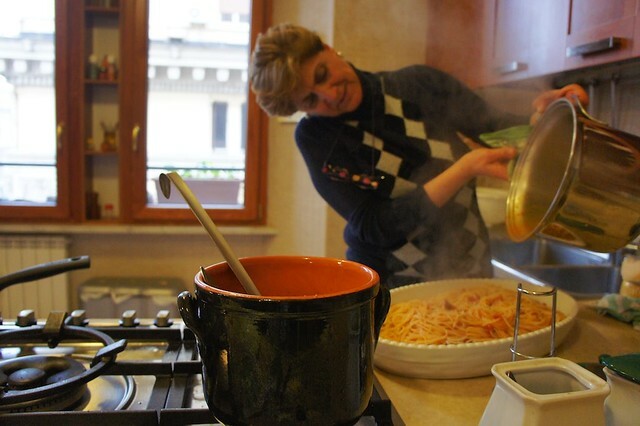 So don't get so distracted in the technicalities and note-taking (most teachers provide you with printed recipes anyway) of the learning that you miss out on the spontaneous fun and joy of the living...which is the secret ingredient in all of Italy's dishes!